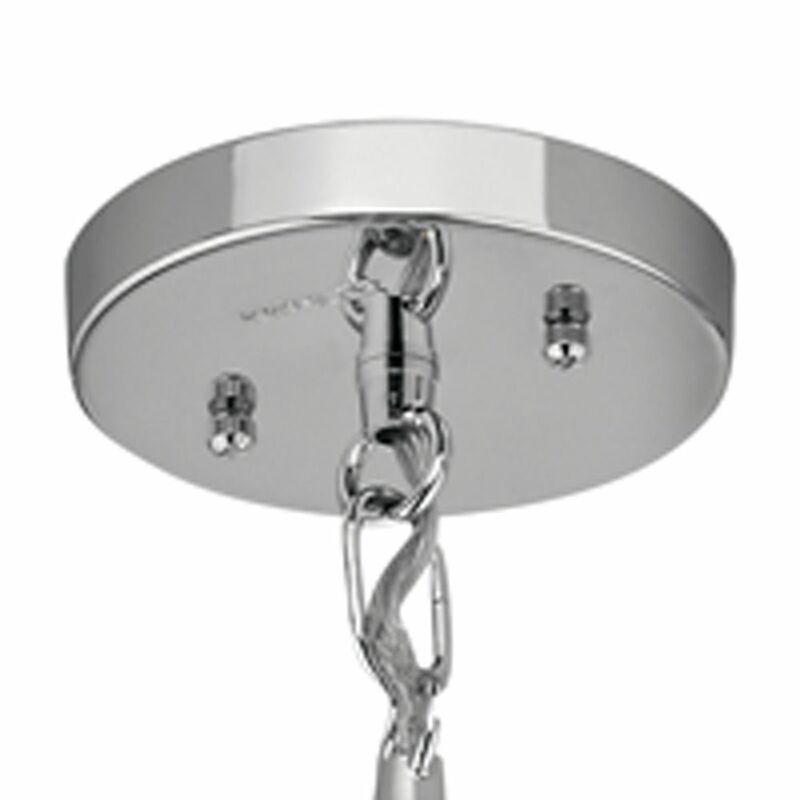 The following are detailed specifications about the Transitional Pendant Light Chrome Lynne by Kichler Lighting. 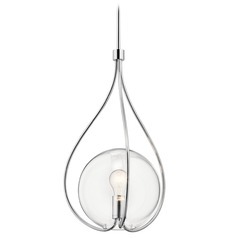 Minimum Hanging Height: 22.5 in. 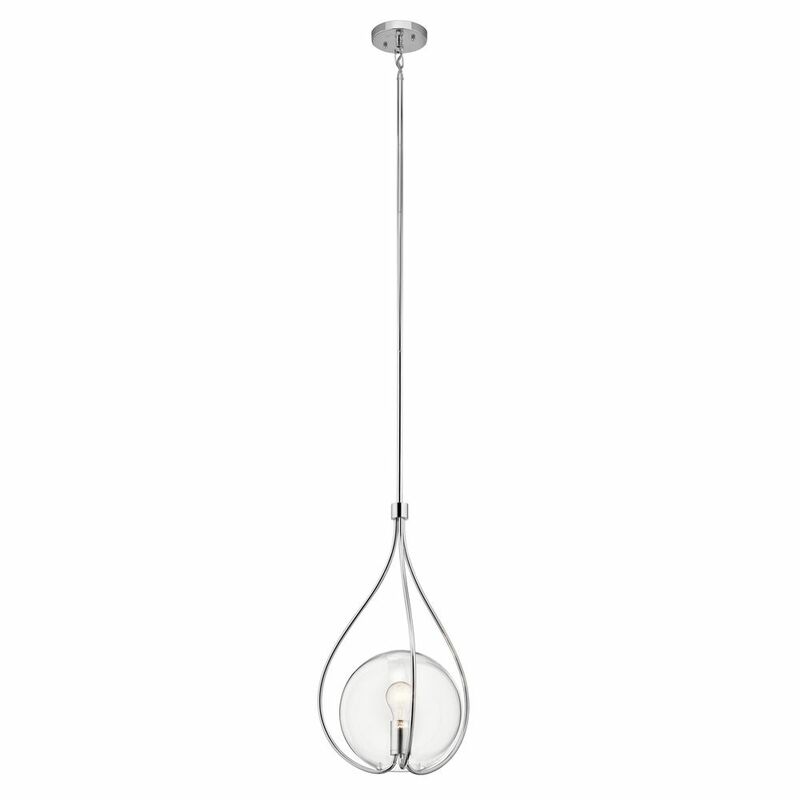 Maximum Hanging Height: 60 in. 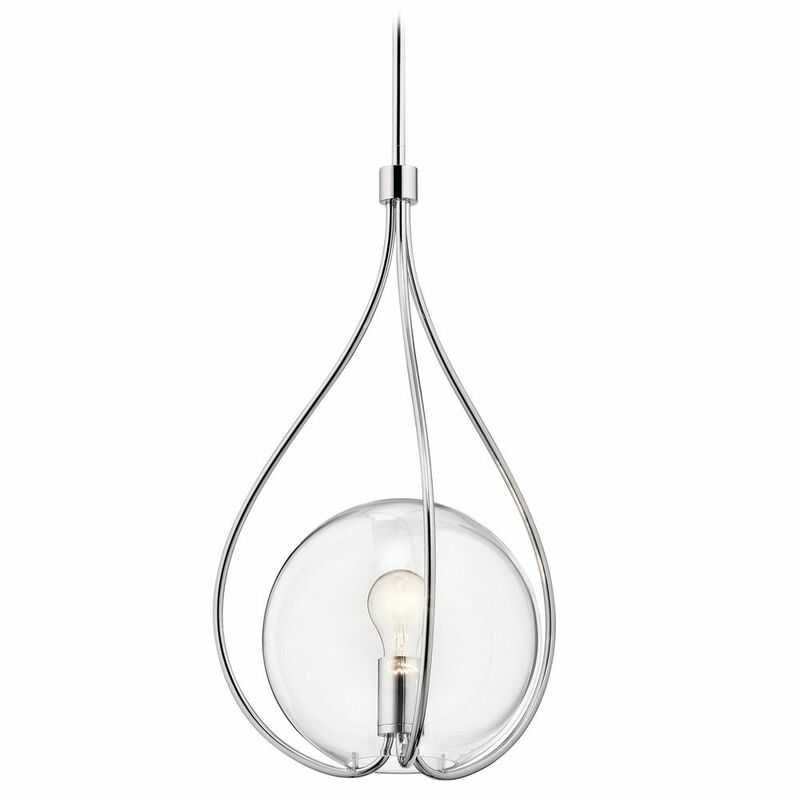 Transitional chrome 1-light pendant light with clear glass shade. 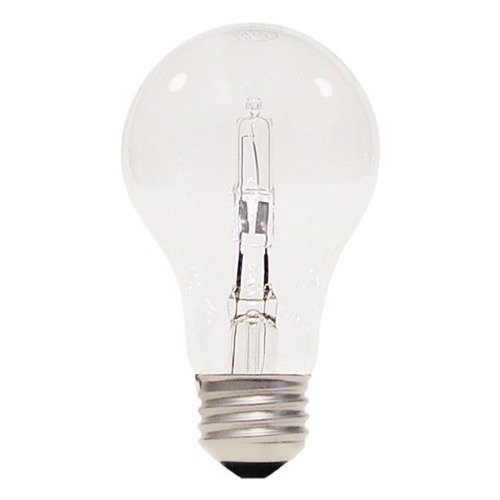 Takes one 75-watt medium base clear light bulb (not included). 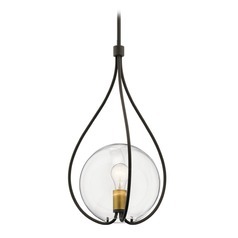 This pendant light comes with 36-inch downrods and 3.75 feet of wire that allows the overall height to be adjusted between 22.5-inches and 60-inches. Suitable for installation in dry locations only. 120 volts line voltage. ETL certified. 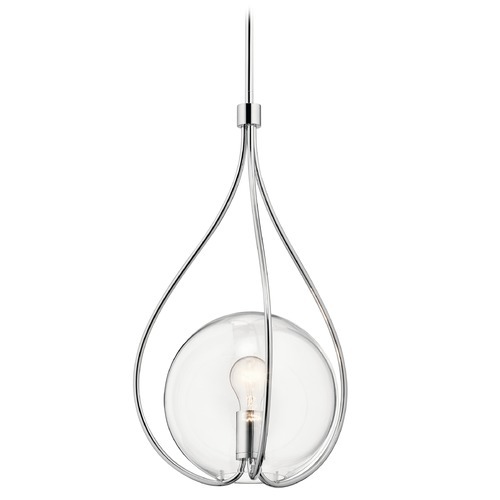 This Transitional Pendant Light Chrome Lynne by Kichler Lighting is part of the Lynne Collection from Kichler Lighting. The following items are also part of the Lynne Collection.